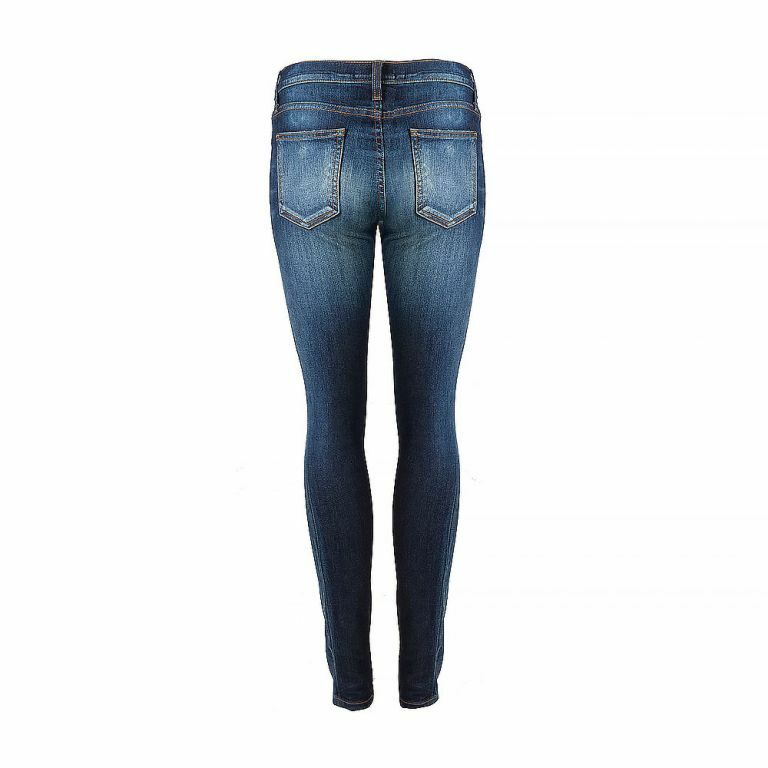 Size 25 – Navy denim Cheville skinny low-waisted ankle jeans with distressed effect at places, brown stitching, three front pockets, front zip and bronze button closure, and two back pockets featuring distressed effect. Widely known as the innovators of the boyfriend jean, Current/Elliott has become a brand defined by authenticity and sophistication. A leader within the fashion realm, Current/Elliott‘s past collaborations include: Marni, DVF, Joseph Altuzarra, Mary Katrantzou, and most recently Charlotte Gainsbourg.